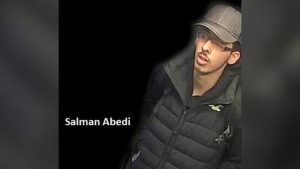 Altnewsmedia is asking the question today; who exactly were the other ‘110 British citizens” evacuated from Libya with the Manchester Arena Jihadist Salman Abedi in August 2014? How many of them were in fact Libyan jihad terrorists whose families has been previously granted British Citizenship? In May 2017, jihad terrorist Salman Abedi detonated a suicide bomb at an Ariana Grande pop concert in Manchester. 22 people were killed and hundreds injured. It has been revealed in the past few days that Abedi was rescued by HMS Enterprise from the coast of Libya in August 2014, three years before the Manchester attack. Who were the the other “110 British citizens” evacuated with him, exactly? What was the precise purpose of this evacuation mission? In the 1980’s the British government gave asylum to members of the LIFG (Libyan Islamic Fighting Group) The LIFG is a jihad group that was trying to overthrow Gaddafi, who has committed hostile acts against the UK. Most of the LIFG members were settled in Manchester and received British citizenship. Salman Abedi was born in Manchester, the son of an alleged senior LIFG commander. When the Libyan war started in 2011 most of the Manchester based LIFG terrorists moved back to Libya to wage war against Gaddafi. Salman Abedi’s father is allegedly currently fighting Jihad in Libya. Gaddaffi was killed in October 2011. At that time there had been hundreds of British civilians (nurses, oil workers, teachers, doctors etc) working in Libya. They were evacuated almost immediately the war started. By 2014, Libya was a deadly warzone with mass killings in every city. Three years after the war began, who exactly were the “110 British citizens” being evacuated in August 2014? Why had these “British citizens” remained in a deadly war zone three years into a ferocious civil war? In June 2014, there was an election in Libya. The “Jihad” parties lost the election but refused to accept the result. They launched a wave of terrorist attacks on the “secular” anti-Jihad forces of General Haftar. In response General Haftar made a major push to defeat the Jihadis. By July 2014 many were trapped in Libya’s coastal areas as General Haftar’s forces advanced against them. If Hafter had captured them, these LIGF terrorists would most likely have been executed. Trapped at the coast, they were desperate for rescue. Is it possible that the Royal Navy was dispatched by the British government to rescue these LIFG terrorists and their families, and evacuate them from almost certain death by Haftar’s forces? Again, who are the “110 British citizens” that were extracted from Libya at that time? As the UK has most recently also evacuated hundreds of “White Helmets” from the defeated jihad-controlled areas of Syria, this question becomes even more pertinent. Altnewsmedia asks has the British Government been actively providing savage Jihadi and their supporters with sanctuary in the UK? If so, and these Jihadi such as Salman Abedi then slaughter innocent British citizens, we must ask why Government is helping to kill it’s own citizens.